Manchester United is in turmoil, no doubts about that and it has to be cured effectively or the massive hard work of the men of yesterday, Sir Bobby Charlton,George Best, Sir Alex Ferguson et al would amount to nothing as the club regresses into relevance oblivion. There was a time in the history of the English football league that a certain Nothingham Forest was the world beater, there were years of Aston Villa, Leeds United were formidable in the early days of the Premier era, they are all down and under due to circumstances that currently bedevil Manchester United. Fast forward a decade and half later, a certain Frenchman feels he's bigger than the club, a certain manager thinks he's more important than everyone else, there's no point reinforcing failure, let the two of them go. The rot actually started a year before Sir Alex Ferguson left, truth be said, there's no way in hell the veteran didn't know he was going to leave earlier than he announced, he had it at the back of his mind that David Moyes was going to be his successor, he should have recruited him months earlier to learn the ropes the best way he could in that short period; that said, the former Everton manager wasn't so much of a bad idea, he was a success in relative terms with the Toffees and could have been an instant hit at Manchester United if he had the right men, not many people realized the team that landed the trophy for Fergie in his last season was as poor as you can imagine, few individuals with proven brilliances and the tinkering of a seasoned manager delivered the result, it would take only one or two managers in the whole of the world to re-enact such with same set of weak legs. David Moyes wasn't backed with resources, he was only able to sign Marouane Fellaini, it was never going to end well. Moving forward, Ryan Giggs was a stop gap to end the season after Moyes' sack, in every language I understand, Giggs should have remained at the helm, the Louis Van Gaal experiment was a failed one that should never have happened, not for lack of expertise from the Dutchman but because the dynamics of present day philosophies require instant success, Van Gaal wanted to build, he unearthed Marcus Rashford, Fosu Mensah and Jesse Lingard, he would come good over years but instant success won't come. Jose Mourinho is a winner, talented manager, but he has always done it in a certain way that doesn't suit the Old Trafford expectations. Fans want attacking football, mesmerizing moments, jumping off the seats, sitting on the edge and the sweet feeling that comes with last minute winners, that's the Manchester United that fans knew and greatly missed. With Jose Mourinho, it's about winning, he doesn't care about how, he was able to get away with it at Chelsea the first time because it brought success, he was efficient at Inter Milan because he won everything, It didn't sit very well at the Bernabeu because it's more than result for the Spanish giants but how you get it, and it keeps going south from there. He did win the league again with Chelsea, with a different approach and with different kinds of men, but that ego thing didn't leave, he accrued all the success to himself and the boys revolted, that landed him in Old Trafford with aplomb; in the era of score four I'll score five, Jose Mourinho's 1-0 template won't sit well with fans or the media, while it is true that the British media picks on the Portuguese, his antics and his inability to pick his words won't stop throwing him into murky waters of scandalous rumors. 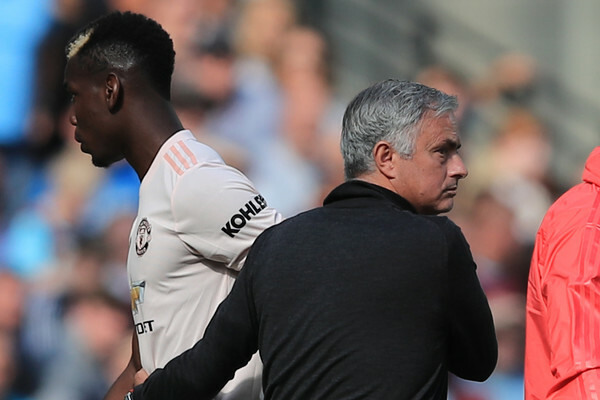 With Paul Pogba and Mourinho frequently having issues, it is time to get rid of the cancer, the two of them aren't fit for the team anymore, let Pogba play for the team he wants, let him stroll on the pitch as he likes and come to the party when he likes elsewhere, not Manchester United; Let Mou feel like he's the all in all without respect for his players elsewhere, not Manchester United, people come people go... Old Trafford remains the theatre of dreams and football will always remain. Who replaces Mou? Who replaces Pogba? that's a question for Ed Woodward and Co, whoever they feel should come in must be someone that understand the values of the team, a young manager with fresh modern ideas won't be a bad idea, while most think it's a job made for Zinedine Zidane, the weight of expectations might be too much for the Frenchman. It's not a bad idea if they consider Ryan Giggs again, he will be a success if given time and resources; the Alexis Sanchez acquisition should never have happened, it distorted the balance of the team and impeded the growth of the likes of Anthony Martial and Marcus Rashford. If the team want's to return to that dreaded force in three years, the duo of Jose Mourinho and Paul Pogba should be shown the exit door. The stalemate at home to Valencia in Europe wasn't one without effort, it will keep happening like that till the team falls farther off the pace and towards irreversible damage for the season. Manchester United is bigger than anyone, it has to be established now and now.